Submit your guess as to which gender will win the week - boys or girls - in the number of births at the St. Luke's Birthing Center. As we prepare to say goodbye to Cathy, help us by sharing your well-wishes or favorite Cathy Kates stories/moments through the years. B105 Serving Up Springtime Fun Including Brantley Gilbert Tickets, MOA Fun, and More! We're continuing to celebrate the brand new B105 smartphone/tablet app by giving away more fun stuff! B105 is excited to announce we just launched our brand new smartphone and tablet app! There are a lot of great reasons you should get it on your phone or tablet right now, but here are the 6 reasons you should do it right away. Win Something Fun as a Thanks for Downloading the New B105 App! Thank you for downloading the new B105 app! 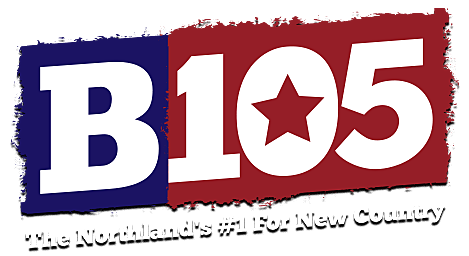 You're now set to get the best of B105 on your phone, including news and weather updates, concert information, blogs, video, and exclusive chances to win stuff. Welcome to the Brand New B105 App! Thank you so much for downloading our brand new app! B105 is making Christmas come a little early for you, allowing you to pick a gift from under our tree. We had so many wonderful love stories submitted for our Soul2Soul stories contest earlier this fall that we had to share more of them and give another couple a chance to see the show!